Welcome to this months offers and news. Full body scrub, full body massage, clay mask infused with ginger, warm body wrap with scalp massage. Cleansing, moisturising and renewing radiance. This 30 minute facial is a perfect pick me up for that instant boost, is great prior to make up and for that special occasion. 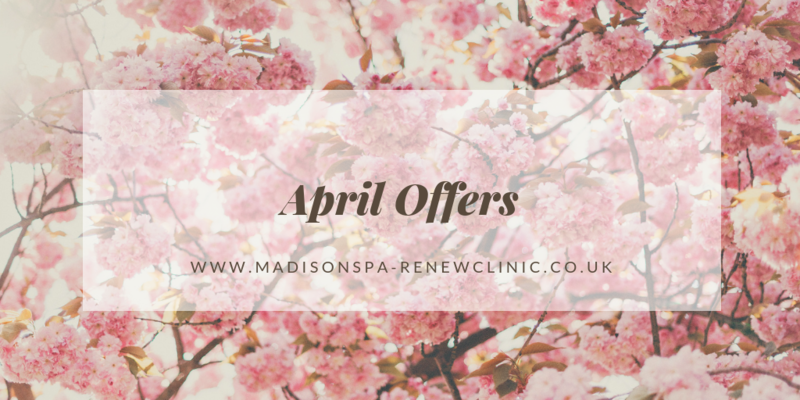 Call 01270 625218 to book any of the above offers or treatments. Our highly experienced Semi Permanent Makeup Specialist is in on Monday 13th May. Colonic Hydrotherapy treatments are also available on the same day. For all queries and bookings please contact Louise on 07772646242 or ask at reception. Drink your way to healthier, better and younger looking skin. Dr Hamdy is available for free 30 minute consultations for wrinkle relaxing injections, dermal fillers, thread lifts and facial veins and any skin concerns you may have such as acne, rosacea, pigmentation, or just to maintain healthy skin. Call 01270 610834 to book.